Philippine authorities have arrested fifteen suspects in connection with a rogue and clandestine internet gambling operation. The group operated a Pasig City-based online casino, according to a spokesperson for the Philippine National Police. In addition to the fifteen Chinese suspects, a man from the Philippines was arrested during the police operation. The Philippine Amusement and Gaming Corporation (PAGCOR) confirmed that the online casino operated without the required licenses. The group consisted of five female suspects and ten male suspects, alongside Russellbert Yuzon Villar from the Philippines. Policemen barged into the Pasig City-based building after receiving authorization from the Manila Regional Trial Court (RTC). The illegal online casino targeted gambling enthusiasts in China, read a statement from the Philippine National Police. 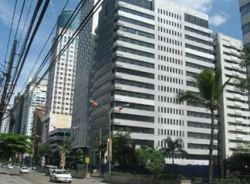 They operated the gaming site out of an office in the Belvedere Tower in Pasig City, and all signs were in Chinese in order to mask the black-market gambling activities. Chinese gamblers needed to sign up with the online casino in order to join the action. The illegal gaming site refused to pay out winnings, and multiple players from several countries had complained about the online casino scammers.